The act of communicating is not just a human trait. All animals and insects use some type of communication to help them get food, find mates, and protect their territory. 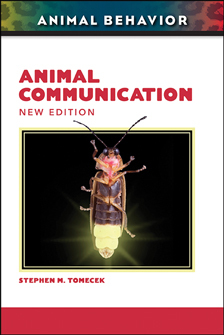 Animal Communication, New Edition explores the many different ways in which animals and insects express themselves and examines some of the latest scientific discoveries involving animal intelligence. Readers will also learn how scientists are working to make the dream of communicating directly with animals a reality. This eBook is enhanced through full-color photographs, illustrations, and a glossary. Stephen M. Tomecek is a geologist and the author of more than 40 nonfiction books for children and teachers. He works as a consultant and writer for the National Geographic Society and Scholastic Inc. Tomecek was the writer and host of the Emmy Award-winning television series Dr. Dad's Phantastic Physical Phenomena.